belongs to the Fagaceae family in the genus Castanea. In Greece, the variety that prevails is the European chestnut tree (Castanea Sativa Miller). It is a deciduous, perennial tree that can reach 25-30 m in height. 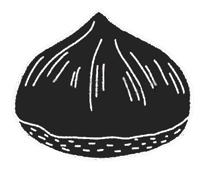 It is cultivated mainly for its fruit, the chestnuts, which are consumed raw, boiled or even baked, as a confectionery material but also for the feeding of farm animals. 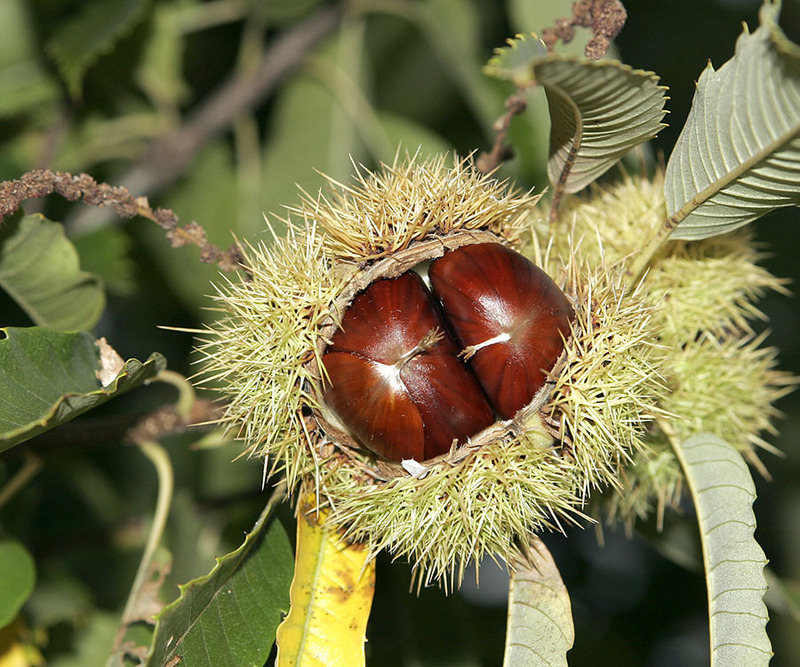 Chestnuts are covered by a ligneous shell (achene), which typically encloses 1-3 edible kernels. Their size depends on the plant variety, the irrigation but also the fertilization of the trees. The fruit pericarp is dark brown-red with dark streaks from top to bottom of the fruit. Their harvest begins after the achene is torn, from mid-September to early November, depending on the plant variety and the particular soil and climate conditions of the region where it is grown. 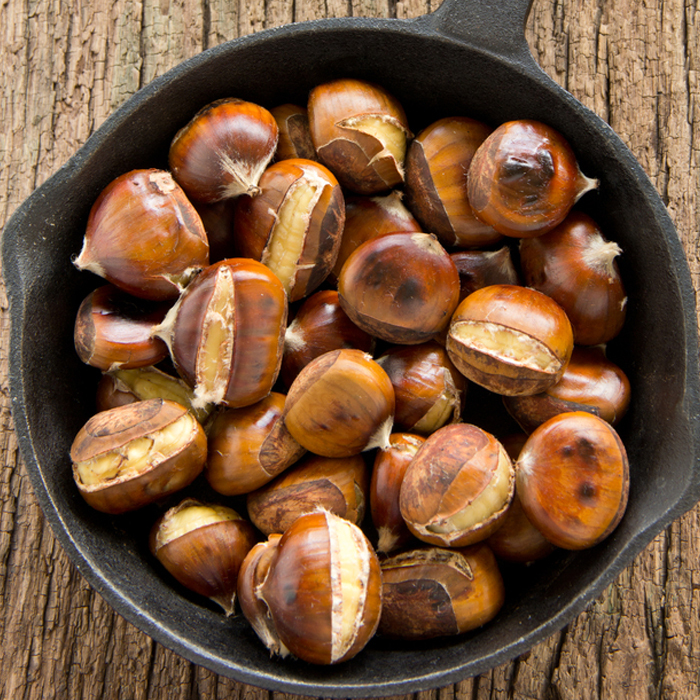 Chestnuts are a very important nutritional natural product. In contrast to other nuts, it can be characterized as a starchy nut, low in fatty acids; therefore, its nutritional value is better comparable with that of cereal. The chestnut shows great antioxidant activity due to its high content in vitamin C, which, as it is highly resistant to heat, is maintained in all forms of consumption (raw, boiled or even baked chestnuts). It also contains vitamins of the B-complex that are highly beneficial for the proper function of the nervous system as well as the metabolism of nutrients. Additionally, it is an important source of minerals and fibers, which lower blood cholesterol levels. Finally, the fact that chestnuts are gluten-free makes them a very popular ingredient for preparing food without gluten nowadays.